Colloidal Silver, which is a solution in which microscopic, electrically charged particles of Silver in suspension. This silver ions water is known to kill 650 different kinds of pathogens, such as bacteria, fungus, viruses, streptococcus and many others, by inhibiting the enzyme which allow their oxygen metabolism. And it does so in minutes, safely, with no side effect. 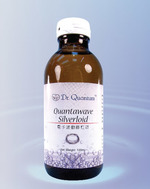 Silver ions water is also for external use on wounds and cuts. It has some has some appropriate medicals uses, such as in bandages and dressing to treat burns, skin wounds or skin infections. Ingredients: Water, Silver ions 10-12 PPM. Dosage: 1-3 teaspoons per day. Packing: 120 ml in glass bottle. The remedy cannot substitute an examination by a medical professional. Colloidal Silver -natural alternative antibiotic. Ingredients: Water, Silver ions 10-12 PPM. Dosage: 1-3 teaspoons per day. Packing: 120 ml in glass bottle. (Collect at SF Express extra $20/order) Ingredients: Water, Silver ions 10-12 PPM. Dosage: 1-3 teaspoons per day. 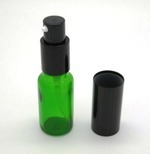 Packing: 120 ml in glass bottle.